Freemasonry is a journey of self discovery and teaches important moral lessons. It is open to individuals of good standing, who express a belief in a Supreme Being and allows men of all religions and faiths to come together in a spirit of mutual respect and tolerance. The Royal Arch is an integral part of Pure Ancient Freemasonry. I would urge members to do this as soon as they feel at ease with the teachings and symbolism of the Craft. 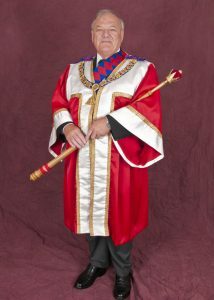 Ideally, all brethren who intend to progress through the Master’s Chair, should have been exalted into the Royal Arch before they have progressed to the office of, say, Deacon in their Craft Lodge.